Can I Get Diprosone Prescribed Online? 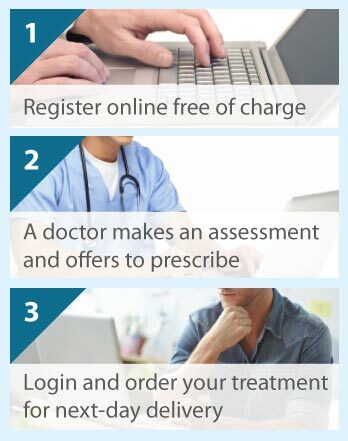 The Online Clinic can prescribe Diprosone for you if you complete a consultation form. This will only take a few minutes of your time. Your form will be reviewed by a doctor and a prescription offered if it is appropriate for you. Diprosone cream or ointment contains the active ingredient betamethasone dipropionate, a potent synthetic topical adrenocorticosteroid. What is Diprosone used to treat? Diprosone is used to treat various inflammatory skin disorders including eczema, dermatitis and psoriasis. Inflammatory skin conditions affect people of all ages. For example, eczema affects up to 20% of children and up to 10% of adults; up to 3% of adults worldwide have psoriasis; and contact dermatitis makes up to 80% of all occupational skin hazards. In these cases, an anti inflammatory agent like Diprosone is often required. The immune system releases various inflammatory agents in response to any trauma, irritation or reaction. Betamethasone inhibits these inflammatory agents that cause inflammation, thereby reducing the inflammatory responses to allergy or irritation of the skin. How is Diprosone cream used to treat eczema, dermatitis and psoriasis? The frequency and length of application of Diprosone should ideally be determined by your doctor and we can give you appropriate advice once you complete a consultation; however it is recommended that you apply it up to twice a day for up to 4 weeks. Simply rub a small amount of cream into the affected area until it disappears. What else is Diprosone used to treat? A lotion formulation of Diprosone is used for skin conditions of the scalp such as scalp psoriasis. Typically, Diprosone is used when conventional topical corticosteroids aren't potent enough to reduce the inflammation. Are there any side effects of Diprosone? Commonly reported side effects of Diprosone include burning, skin pigmentation change, excessive hair growth, itching, rash, redness, thinning of the skin, and stretch marks. You should avoid using Diprosone if you have any type of bacterial, fungal or viral skin infections, acne or perioral dermatitis. Diprosone should be used carefully in children or in those suffering from psoriasis. If you complete a skin complaints consultation form, we will advise you on what is appropriate.